Wool felt products of Iran are very welcomed by Western countries as they have medical and industrial use besides being a handicraft. 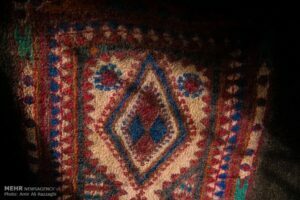 Chaharmahal and Bakhtiari province in the southwest of Iran is known for its wool felt and its products have the national badge of craftsmanship. Experts believe the capital of the province, Shahrekord, has the potential to become the “global city of wool felt”. Currently, there are 250 small workshops and 15 large manufacturing workshops in Chaharmahal and Bakhtiari with around 500 people working there. Every year, 40 tonnes of all kinds of wool felt products are produced in the province which can be increased to 50 tonnes. In this province, wool felt products are made in two traditional and modern ways. Nowadays, in the field of making new products, due to innovation and various usages, more than 40 kinds of wool felts are produced and sold in the market. Based on scientific studies, wool felt products have special characteristics that could be used in medicine and automotive industry. Iranian officials say the main target market for exports of wool felt products are the United States and Sweden. The provincial tourism chief of Chaharmahal and Bakhtiari province says wool felt exports from Iran reached $1.250 billion during the Iranian calendar years 1391-96 (March 2012- March 2017). Mehrdad Javadi added that these products can be used in tourism, automotive, defense and sports industries. Wool felt is the oldest known textile. 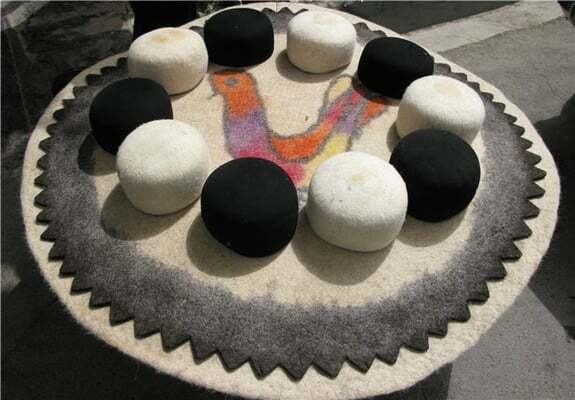 Felt-making is still practiced by nomadic peoples in Iran, and Central Asia. In the wet felting process, hot water is applied to layers of animal wool, while repeated compression makes the fibers hook together to turn into a single piece of fabric.